Sébastien Ogier may have won 44 times in his stellar FIA World Rally Championship career, but few of his victories have been more hard-fought than the one he achieved at Dayinsure Wales Rally GB this weekend (4-7 October), as the Ford star overcame a thrilling final day challenge to become the first driver in history to triumph five times on the legendary event. 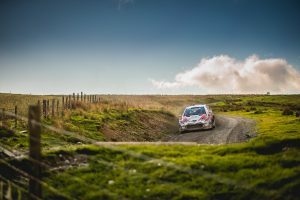 Going into Sunday’s demanding speed tests through the scenic splendour of Snowdonia National Park and around Llandudno’s iconic Great Orme, the stage was set for an exhilarating battle for glory, with the top four competitors separated by just 13.5 seconds – and uncharted territory ahead. Latvala stormed through the points-paying Power Stage to depose overnight leader Ogier from the top of the timing screens, but the Frenchman hit back immediately with a scintillating run through the groundbreaking first Great Orme Llandudno Street Stage to slash the gap between the pair to a scant two tenths-of-a-second. 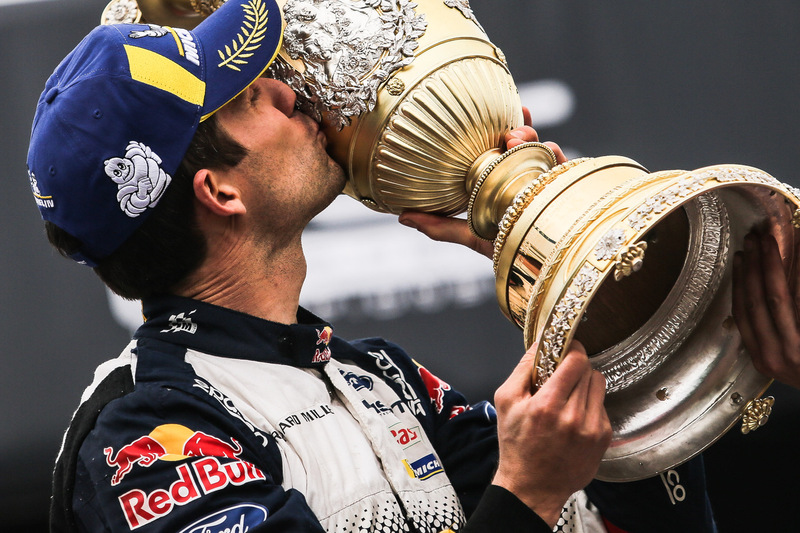 Ogier’s commitment was mind-blowing, and the Frenchman subsequently produced another virtuoso performance on the second blast through the showpiece stage to cement his victory – a record-breaking fifth on the event. “It’s a great honour to win in Wales for the fifth time,” reflected the five-time World Champion. “Everybody knows how tough this event is and how it’s one of the most iconic rallies in the World Championship. I’m very proud to be on top of that list ahead of such big names in the sport. 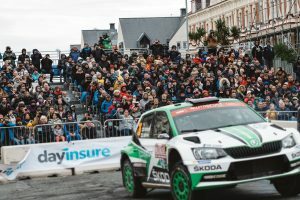 Latvala’s team-mate and countryman Esapekka Lappi rounded out the rostrum in third, with the podium ceremony taking place right in front of excited spectators on Llandudno’s seafront promenade following a final sprint through the town, allowing fans to grab a glimpse of their WRC heroes up close. 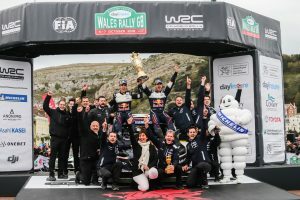 “Congratulations to Sébastien on his record-breaking fifth victory here in Wales,” said Dayinsure Wales Rally GB Managing Director, Ben Taylor. “He is such a popular winner with the British fans, but he has a habit of trying to steal the trophy each time! “We made history of our own as well this weekend, bringing World Championship motor sport to public streets for the first time in Britain. Llandudno looked amazing today and it was wonderful to see so many spectators coming out to experience the WRC. We have had amazing crowds all weekend and it seems that the new challenges offered by this year’s route were well received by competitors and fans alike. Ireland’s Craig Breen achieved his best result to-date in Wales in fourth, with title contender Ott Tänak – who held a commanding advantage of more than 40 seconds until radiator damage on Saturday stopped his charge in its tracks – salvaging four potentially crucial points with a strong run through Sunday morning’s Power Stage in the heart of Gwydir Forest. Although there was disappointment for last year’s winner Elfyn Evans, there were crowd-pleasing performances from other British drivers. Gus Greensmith finished an excellent third in the WRC2 support category, with 19-year-old Tom Williams – godson of the late, great Richard Burns – winning the WRC3 class. Llandudno-based Matt Edwards – fresh off the back of being crowned Prestone MSA British Rally Champion on Friday – celebrated his title success in style by winning the final round of the 2018 BRC campaign following retirement for long-time leader David Bogie. The final stage of the event was delayed and slightly shortened after an accident involving two members of a motor bike display team between the two runnings of the stage. The thoughts of everyone connected with the rally are with the injured and their families.